Mobile based applications like agricultural extension services are fast becoming an assistant to farming. The purpose of this study is to examine the factors associated with the adoption of innovation perceived by consumers of AES and those which influence attitude. Diffusion of innovation theory states relative advantage, trialabilty, compatibility, perceived risk, observability and complexity as the factors leading to adoption. The proposed structural model was tested upon users of mobile based agricultural extension services in India. The study was conducted by surveying a broad diversity of citizens in northern India. A structured questionnaire was used to collect data from 180 respondents with complete answers participating in the study. Empirical data analysis supports a positive direct relationship between relative advantage, compatibility and observability upon attitude. Marketers should use these factors to build a positive attitude of the customers. 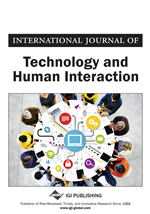 This study proposes to use adoption literature to study the adoption of new information communication technologies. According to Fichman (1992) innovation adoption focuses on two aspects: (1) the characteristics of a specific innovation and the outcomes of its adoption and diffusion process; and (2) the locus of adoption—i.e., whether adoption is on an individual or organizational level. The present study focuses on the individual level of adoption. In this study, we investigate factors that impact antecedents of attitude towards adoption of mobile based agricultural extension services. While there are many studies that define adoption in terms of implementation, usage, utilization, or satisfaction; this study uses attitude as the single measure of adoption. Innovation attributes face several critiques by researchers such as (Down & Mohr, 1976) and (Tornatzky & Klein, 1982) regarding the inconsistency of attributes in influencing the diffusion and adoption of an innovation. It is for the reason that Rogers focused on the primary attributes of innovation rather than perception of using an innovation by potential adopters.